In the same series as Pro HTML 5 Programming review and related to The Essential Guide to HTML5 I will also be reviewing: The Definitive Guide to HTML5 Video. 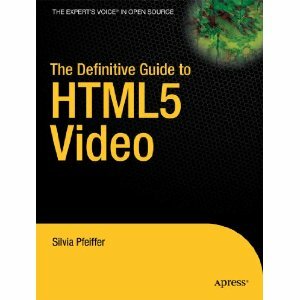 The Definitive Guide to HTML5 Video is the first authoritative book on HTML5 Video, the new web standard that allows browsers to support audio and video elements natively. You can expect a review of this book this month, on my website. I have started reading this book, so expect a review soon!